Choosing the right Carpet Cleaning Machine for your business is an important decision. There are many different machine options on the market and they all have different specifications. There are a lot of things to consider when choosing. Hopefully this guide will make that a little easier! As well as Carpet cleaning there is also Upholstery, Rug, Curtain and Hard Floor Cleaning. If your main focus is going to be carpet cleaning then anything upwards of 100 psi will be fine. PSI refers to the water pressure which is produced by the Pump. Higher psi will mean that you can clean faster and will rinse better. It doesn’t necessarily mean that it will also be needed or do a better job as there are many other things that factor into it! A machine with a 100 psi pump will also allow you to clean wet-cleanable Upholstery, Rugs and Curtains. If you choose a machine with a higher psi you can reduce the pressure for delicate fabrics. If you chose a machine with a 600psi pump, this would allow you to use the Gekko range of hard floor cleaning tools. Along with some additional equipment such as the Cheetah Pucks you will be able to offer stone restoration. If you would like to offer commercial hard floor cleaning then the Hydroforce SX-15 and SX-7 tools are perfect for this but you will need a minimum of 1000psi for the tools to work sufficiently. This could be argued as the most important thing to consider! Don’t forget when you are working out your machine budget to factor in any solutions, accessories, training and marketing that you will need to pay for. Many new start-up’s choose Leasing to finance their equipment to help them with their cash flow for the first few years. Make sure if you look into leasing that you discuss the ownership at the end of the lease! We often work with Focus Leasing simply because they are a friendly, helpful company – if you would like a quotation for leasing give them a call on 01794 525931. 3. What vehicle will you use or plan to buy? Most machines will fit easily into a smaller van such as a Citroën Berlingo however if you plan to also carry a Rotovac, some other accessories and cleaning solutions you may find there isn’t a great deal of room but this can still work perfectly well with good organisation. You may find it easier in a larger van but this will increase your budget and may be something to consider further down the line when you have a stable client base. 4. Who will be using the machine? Will you be the main user of the machine or do you intend to have staff working for you who will be using the equipment? Seeing the machines coming into our workshop we tend to find that staff don’t look after the equipment as well as the owner will as is true in many businesses and industries. Many of the owner/operator businesses that come to us for regular servicing and repairs have had their machines for many years and even after 10+ years of use they still look amazing and retained the performance. We also have some machines that are used by technicians and need to be thoroughly cleaned before we can test them to find out why they have broken, again. If you plan to have technicians working for you, the roto-moulded machines may be a better choice as they won’t break as easily as the fibreglass models if they are dropped or misused. If you will be cleaning an area with lots of stairs and no lift access such as a townhouse then it be a good idea to choose either a lighter weight machine so that it can be lifted or a higher psi machine so that you can run longer hoses. High Heat is important for jobs such as an end of tenancy where there is no heat. A machine with in-line heat will give you almost instant heat, this will reduce the set up time and help get better results when cleaning. Airflow is created from the suction of the Vacuum motors, greater airflow allows you to run more hoses and will help leave the carpets dryer which reduces drying times. Airflow can be improved by upgrading to twin or triple vacuums. You may not feel this is important but potentially this will be your main piece of equipment that you will use 5 days a week for the next 5-10 years! You will also be taking this into your customers homes and you will be judged on it, so make sure you take good care of it and keep it looking clean and tidy. As an optional upgrade the fibreglass machines can be build it other colours rather than the standard white. The decals can also be personalised with your own company logo and colours. If you have the opportunity then try the machines out for yourself to get a feel for what you like and find comfortable using. There are always upgrades and options for different machines to suit what you like and need. We are always happy to answer any questions you have either over the phone or face-to-face. If you would like to come in and see us just give us a call first and we will book an appointment so that we can spend time with you making sure you get all your questions answered. Alltec are a fantastic company with great customer service. 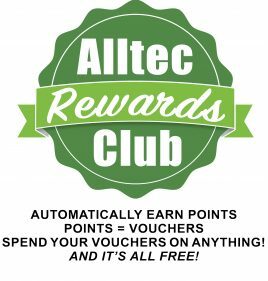 Myself and my partner was new to the carpet cleaning industry and turned up at Alltec with little knowledge. Chris was very patient and answered all of our newbie questions. Their unit in Royston has everything you might need for your carpet cleaning business, and is well worth a visit, even just for the free tea!